Advanced radio technology rolled out across manufacturing site. Automated communications specialist, ANT Telecom is working with multi award winning distillery, Glenfarclas to provide its site with advanced digital radios and an automated alarm system to help improve communication for all of its employees and reduce plant downtime. A family owned Scottish whisky company, Glenfarclas has been operating for 181 years, and produces about 3.5 million litres of alcohol a year. Six generations of the same family have run the company since it first was established; the original traditional method of making the whisky remains at the core of the business. 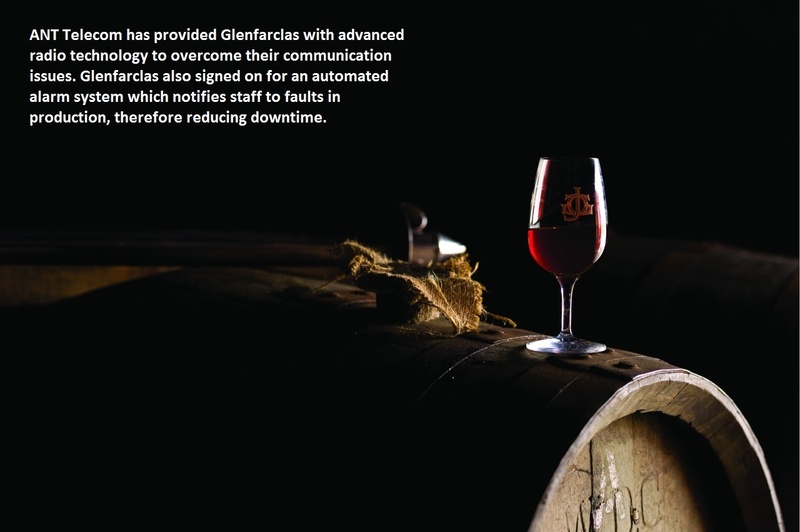 Prior to working with ANT Telecom, Glenfarclas did not have any means to communicate with their mobile staff due to poor mobile reception around the distillery. Staff were physically walking the premises to find individuals when they were needed to distribute messages or engage with colleagues, which wasn’t an efficient use of time. Moreover, with the distillery producing 6,000 litres of waste an hour, any out of hours downtime with their incumbent effluent system would have a significant financial impact. The ANT Telecom digital radio solution included a small number of handsets and an alarm module that integrated with their effluent plant system that would trigger alarms if there was a fault, notifying the dedicated on call staff member and enabling the issue to be quickly addressed. Importantly, the whole solution could be delivered quickly and cost effectively without putting too much strain on Glenfarclas resources.